During his seven years in the team, he was an authentic emblem of the defence, combining his great strength and wonderful skills with the ball at his feet -something which was hardly typical of defenders in that era. His positioning and reading of the game from his commanding position at the heart of the back line gave him the openings for his trademark long distance, inch perfect passing. Unfortunately, he suffered a terrible injury in 1957 which kept him out for a long time and although he played with the reserve team – Condal – in an attempt to recover his fitness, he was forced to retire in 1959. 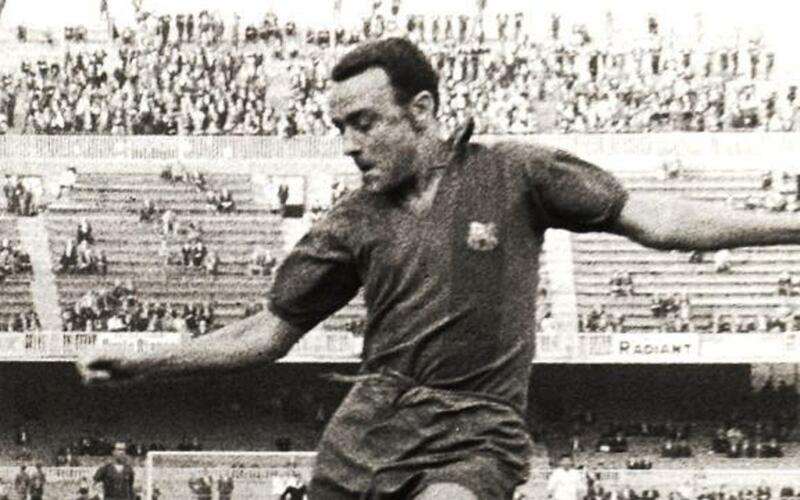 The Club dedicated a tribute to him, together with Marià Gonzalvo, at the Camp Nou on February 7, 1962. Between 1993 and 2000 he was a Club director, with responsibility for the board’s relationship with the players.